Sisters Ella and Roberta O'Callaghan haven't spoken for decades, torn apart by a dark family secret from their past. They both still live in the family's crumbling Irish mansion, communicating only through the terse and bitter notes they leave for each other in the hallway. But when their way of life is suddenly threatened by bankruptcy, Ella tries to save their home by opening a café in the ballroom – much to Roberta's disgust. As the café begin to thrive, the sisters are drawn into a new battle when Debbie, an American woman searching for her birth mother, starts working at the Ballroom Café. Debbie has little time left but as she sets out to discover who she really is and what happened to her mother, she is met by silence and lies at the local convent. Determined to discover the truth, she begins to uncover an adoption scandal that will rock both the community and the warring sisters. 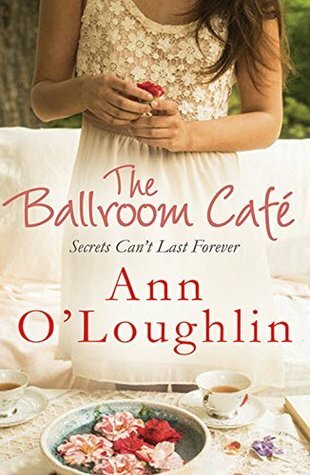 Powerful and poignant, The Ballroom Café is a moving story of love lost and found. Attracted by the cover, teaser and introductory bargain price on Amazon the characters were older than I'd assumed. Whilst it wasn't what I'd initially expected, I really enjoyed it. It was an extremely engaging and interesting multithreaded read about two sisters and the effect of loss and deceit. It was very hard to put down. This a book with depth, filled with sentiment and well thought out characters. I really liked the way the story unfolded. This could have been Ella's story but it was more than that with the introduction of Debbie and another storyline. It is a tale crafted about people, their choices and subsequent consequence. Parts were very sad. The author gave little away with each chapter revealing more surprises. Not an author who I had read before, I am looking forward to discovering more such interesting books. Highly recommend.